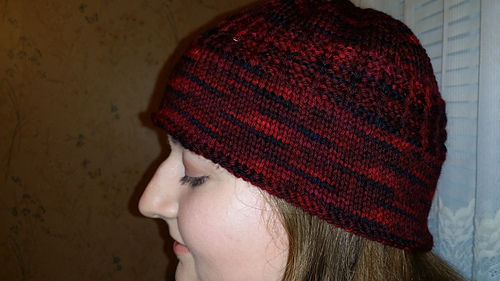 Cute hat with slipped stitch detail. 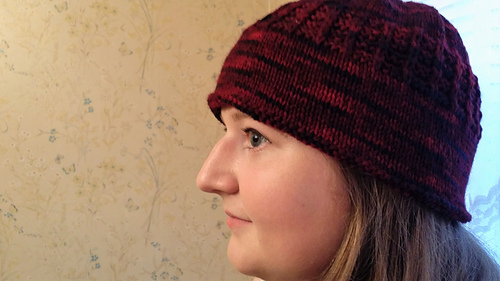 The brim is worked in stockinette then folded over to the inside and sewn up. Finished Circumference - Medium 20”/ Large 22”. 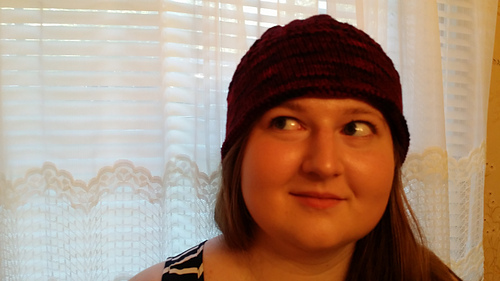 You usually want negative ease for a hat, but I like this one to fit like a bucket. So, if your head actually measures 22 inches, you would choose the large size to get the fit I got. However, if you want a more traditional fit or have a smaller head, you should opt for the medium sized version.